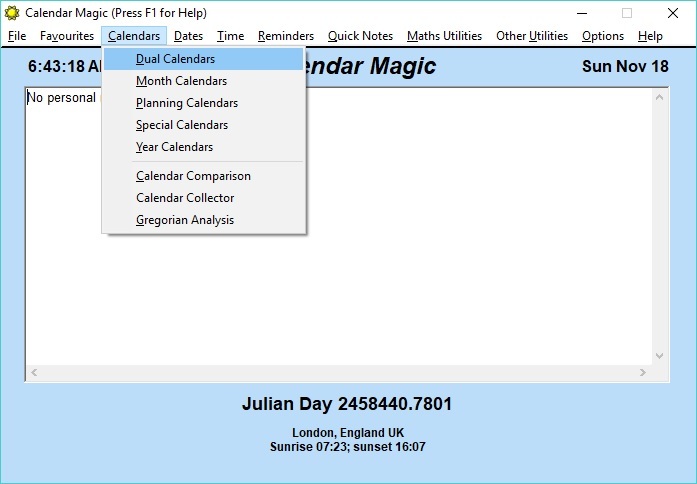 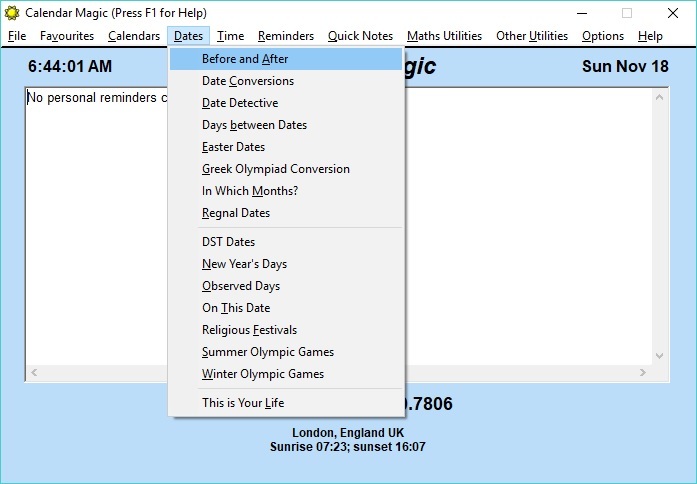 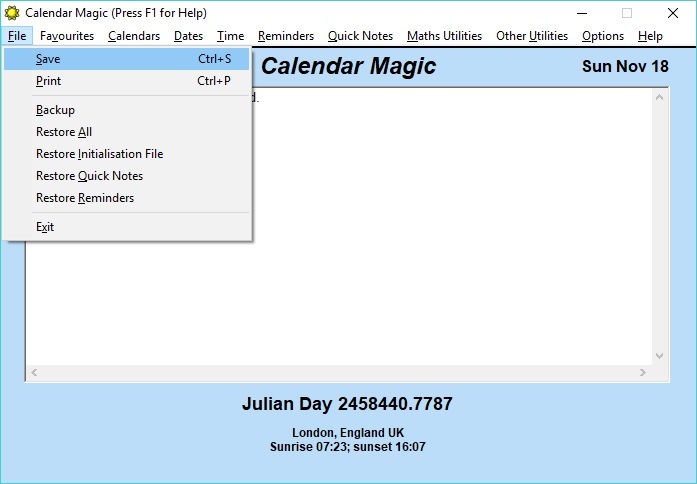 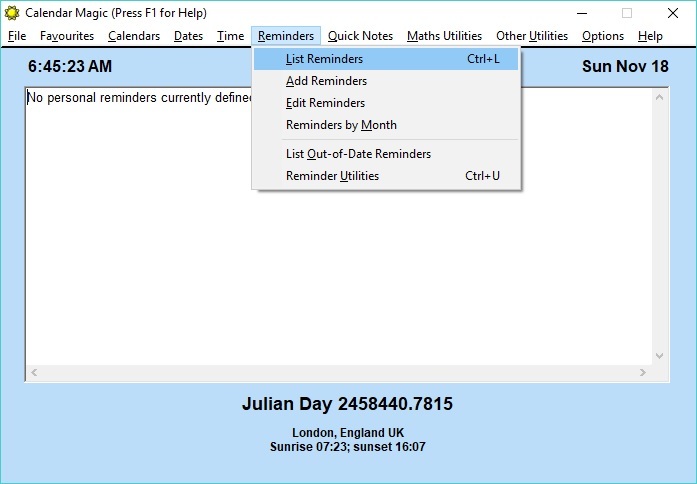 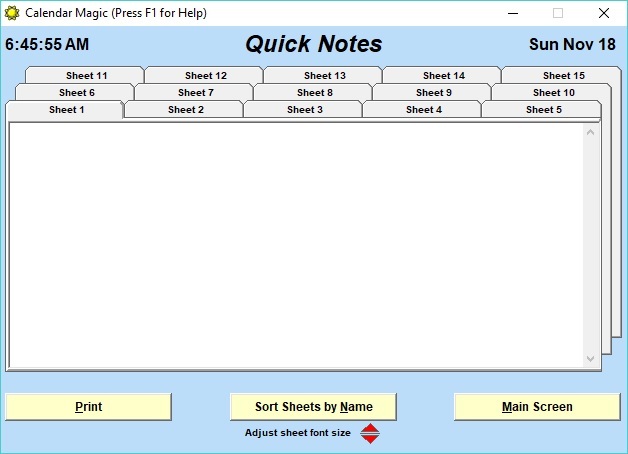 Calendar Magic is a free calendar tool that supports a ton of date calculations, specialized and international calendars, alarm reminders, calculators, unit conversions and much more. 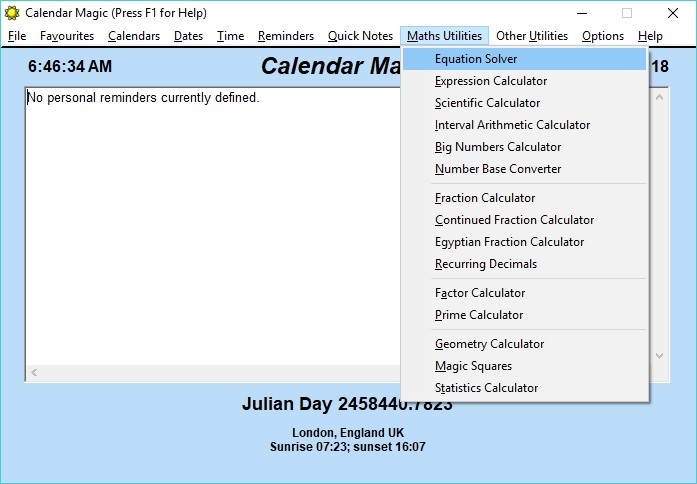 It even has a pregnancy due date calculator, the ability to look up the current time in any part of the world, a global distance calculator and other mathematical goodies. 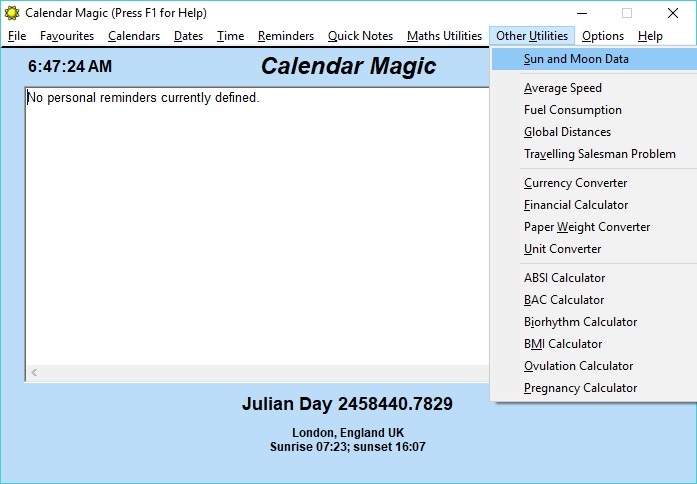 You can also generate a report that show you cool details about your life and biorhythm. 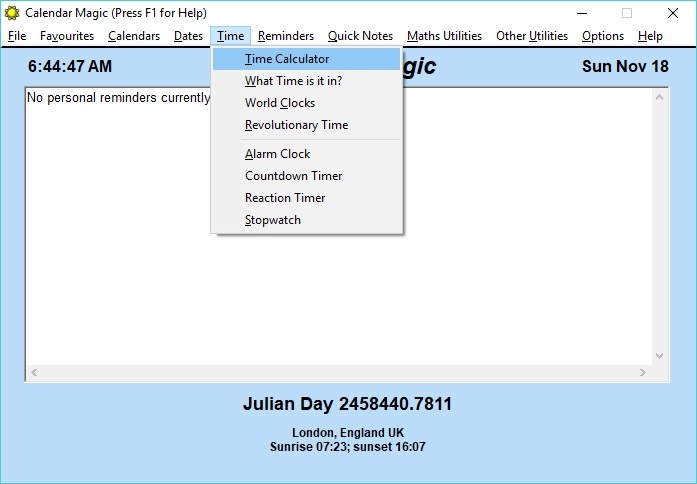 Also includes calendar comparison, time between dates, observed holidays, religious festivals, sun/moon data and much more. 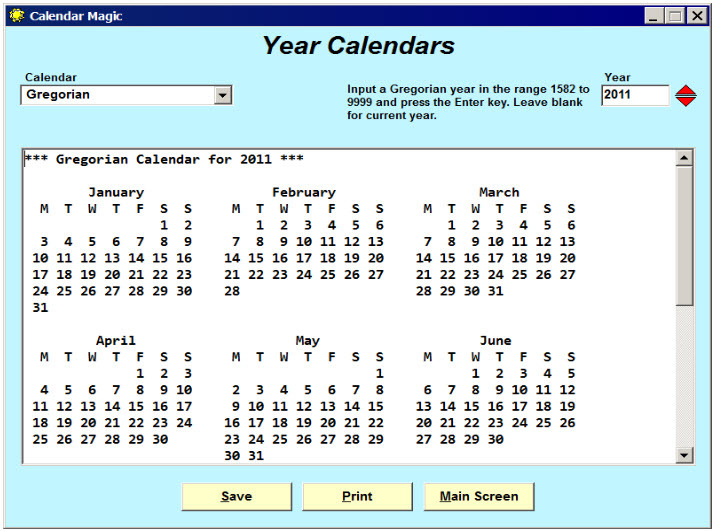 It supports multiple languages and calendar systems and everything can be printed. 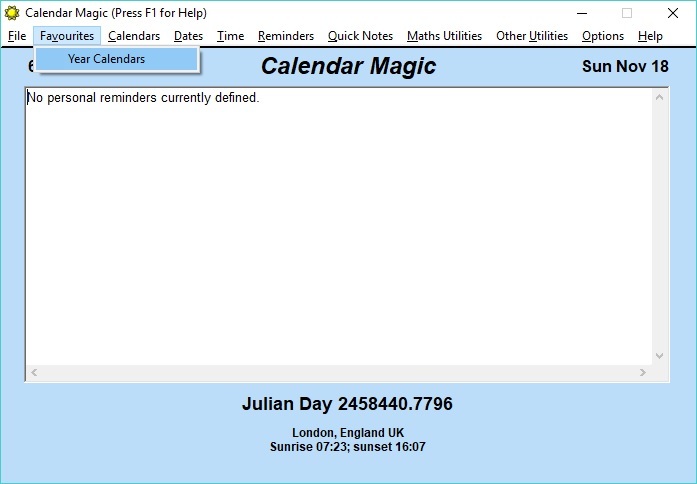 342 628 EuroSoft <img src="https://www.oldergeeks.com/downloads/gallery/thumbs/Calendar Magic1_th.png"border="0"> Nov 18, 2018 - 12:59 19.1 6MB EXE , out of 2 Votes.